"Mrs. Ruth Dennis, Mrs. Dorothy Wright"
Mrs. Ruth Dennis, Mrs. Dorothy Wright, NAACP CoChair and CoChair from Ebenezer AME Church. Working in Precinct 4th and Ward22. 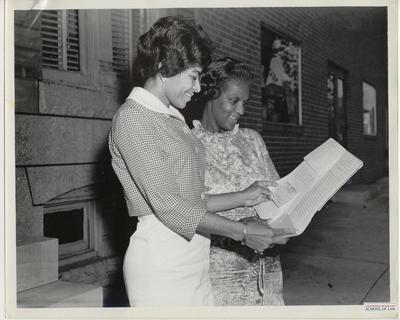 Left to right: Mrs. Ruth Dennis and Mrs. Dorothy Wright. Photographs provided by the Baltimore, Maryland Branch of the NAACP.